SiriusXM (SIRI) was one of the ways that I listed to music when purchasing my 2012 Hyundai Elantra Limited. I was just starting to use Spotify, and Pandora was unreliable over 4g. But SiriusXM lost me as a customer, mostly due to information here on the internet. And SiriusXM wants to gain subscribers to keep investors happy, so all you have to do is wait them out. The phrase I started searching was “What’s the best deal on a SiriusXM subscription?” Looking through the results, it looks like the lowest price that is offered by SiriusXM is $5 per month. However, you will not be able to negotiate this price easily, it’s the price they try to use when you outright cancel your subscription, or when they’re trying to get you back as a subscriber. Let me explain. I went through the cancellation process, as I was paying $7.50 a month, which I had negotiated for the “XM Select” plan. I had been commuting at least once per month from Massachusetts to New Jersey, and it was nice to be able to have a bit more reliability (Verizon Wireless was still investing in their 4g network) and variety. I did a bit of searching with the phrase above, and saw that people were able to negotiate $5 per month. I had moved to New Jersey, and the cell service was better, so SiriusXM began to look less attractive at $7.50 per month. I called to see if I could negotiate a better price, as many online forums had suggested. The suggestion was to call and threaten to cancel service. Well, I guess SiriusXM got wise to this, so I wasn’t able to negotiate the plan down. Many had said they were able to get $5 per month for a year. That’s the deal I wanted. So I cancelled service. Now what most people don’t realize, is despite SiriusXM Subscribers increasing, it doesn’t mean all of those subscribers are paying full price. I’m curious as to how many subscribers do pay full price. But SiriusXM has many fixed costs. It’s better to get $5, or even $7.50 per month out of someone (compared to $15) than it is to get 0. Many vehicles have SiriusXM installed, and it’s easy to flip a switch an activate it. So SiriusXM wants to be making any revenue they can, to help pay off expensive satellite launches and upkeep. The problem is- SiriusXM is going to lose to streaming services. While I acknowledge there’s some great programming at present on SiriusXM, Pandora or Spotify will pay to take some of those contracts. I believe SiriusXM will top out with maybe 29 or 30 million subscribers, and then start to fall apart. Why am I saying this? Because it’s already started to happen. 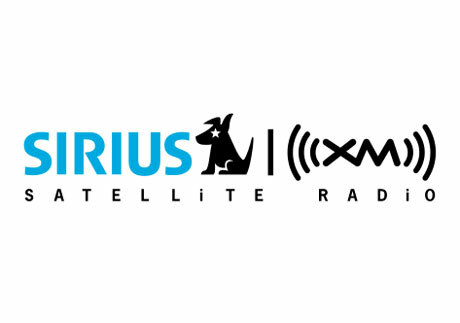 SiriusXM has been mass mailing people to try to get them back at the $5 per month price. They’re playing their hand as $5 per month to be the sweet spot that people are willing to pay. And with the increase in catalogs of streaming services, it almost doesn’t seem worth it. All Spotify needs to do is start to steal some of the talent away from SiriusXM, and we will see the dominos start to fall. My recommendation- Spotify Premium or Pandora if you (like most people) live in an area with adequate cellular service. SiriusXM is only really a choice now for rural areas.